I have experienced a lot of change in my life in the past few years. After working in retail for 25 years, I made the decision to go back to school. I spent two years sharpening my skills, then three years working in a corporate environment for a large company. Late last year I joined an association management company in a newly created role. Changing jobs is one thing but change in associations can be something else entirely. One thing we know is that change is consistent and inevitable. In an association, change is both of these things, but is also beneficial and can lead to growth, yet it frequently produces uncertainty and fear. Staff and stakeholders may resist change until they see the big picture, where they fit, what to expect and what the new outcomes are. Changes occur internally and externally. Some of the top external reasons for change are financial, demographics, changing government regulations, technology or member pressures and crisis. Internal changes can include new strategies, policies, governance or structure of leaders or performance levels and member needs. An association leader must take charge in the face of these change catalysts and implement a plan to adapt to the change and gain buy-in from all staff and stakeholders. They play a key role in preparing for change and often initiate needed and constructive change. It is expected that they be proactive, guide change, and focus on change that will ensure survival and ongoing development of the association. The association leader is, in a sense, the change agent. It is very important for the association leader to maintain a positive attitude and confidence, not be afraid to take (calculated) risks, and know how the change will benefit the association. This should be researched, and a plan developed and implemented to accommodate the change. Association leaders must help overcome resistance to change and promote the opportunities that come with it. 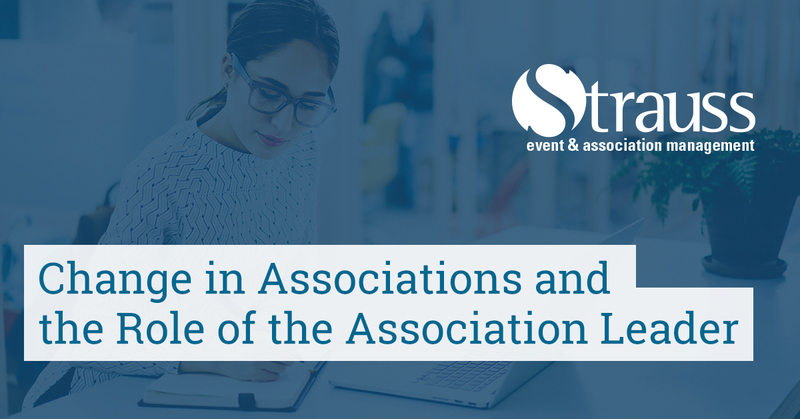 An association leader must prepare for the different types of change that occur in associations. A model by Dunphy and Stace (1993) suggests there are at least 16 types of change – four levels of change combined with four leadership styles can produce the 16 types of change. The four levels of change are: fine tuning, incremental adjustment, modular transformation and corporate transformation. Creating specialist units focused on quality and performance. Adjusting structure, making it less rigid and more integrated. At this level there is minor disruption to the “status quo” with little risk. Existing structures, procedures and processes are used to support change. This type of change is not for all associations. For example, an association dealing with budget cutbacks needs to go beyond incremental change and move to the next change level. New leaders coming in from outside. This type of change attempts to alter the culture of an association. It challenges existing structures, procedures, and processes. It also focuses on significant, breakthrough improvements: there is a relatively high level of risk and the “status quo” is altered significantly. Coercive – often used when serious and immediate action is needed to effect change. This type is very directive in nature and is recommended to be used sparingly. Most leaders prefer to use a consultative style and incremental level of change. However, when an association is facing a major challenge, its future is at stake and time is limited. In this situation a directive style of leadership and corporate transformation level of change may be best. Associations differ in terms of size, structure, processes and key values. The type of change and the most appropriate leadership style will vary depending upon the situation, environment, and the association’s leaders. In my next article I will continue to explore the topic of change and focus on the change process, resistance to change, and reducing resistance. Bilingual Associations: Serving Members, en français et en anglais!